Have you ever driven through a city or town and immediately wanted to stop and explore? 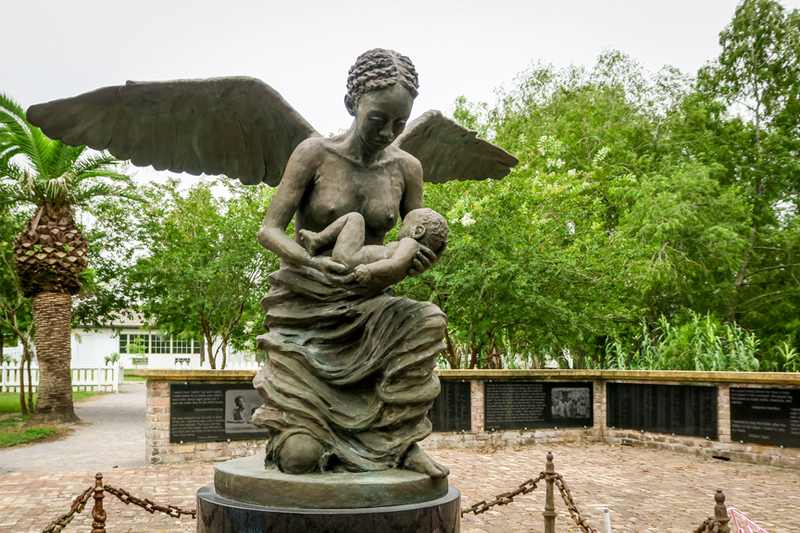 That’s how I felt when I reached Natchitoches, Louisiana, site of the town in the movie Steel Magnolias. Fortunately, I had a few hours to spend, but the brief visit only increased my desire to return. The destination has much to offer. 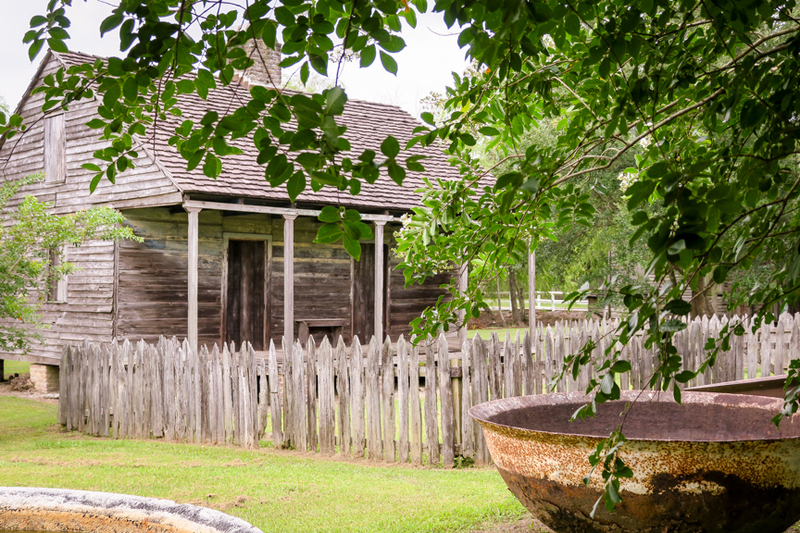 Natchitoches (pronounced “Nack-a-tish”) is the oldest community in the Louisiana Purchase territory. Today, it’s the B&B capital of the state including many historic homes that look inviting for a girl’s getaway or romantic escape. The lively riverfront of the downtown district borders the beautifully landscaped Cane River Lake. I stopped into the Northwest Louisiana History Museum, which also houses the Louisiana Sports Hall of Fame. 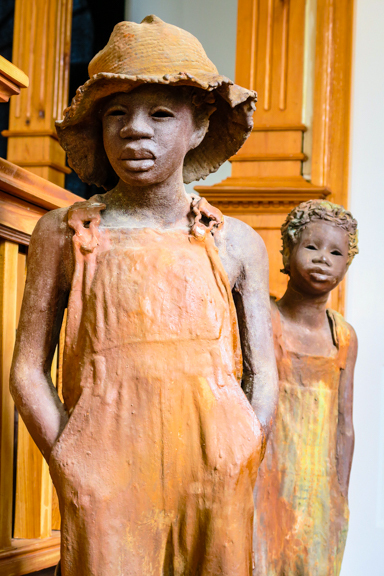 Most of Hunter’s works document the social life and customs of the African-American community as she saw it. 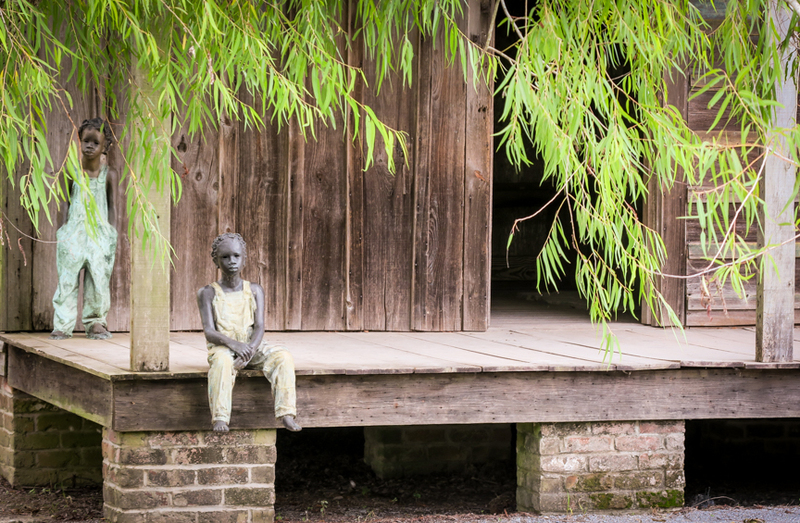 Her early days were spent picking cotton and pecans at Melrose Plantation, and eventually she moved into the Big House to help with kitchen and laundry duties. There her first creative endeavors were sparked; making dolls and quilting. One day she picked up a leftover paintbrush and started painting. She never stopped until a few days before her death at age 101. She painted her memories, so we see an insider’s perspective on life from 1939 to 1988. 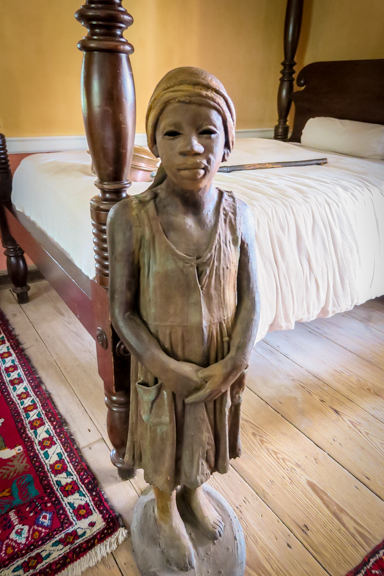 The murals (removed for renovation from the walls of the African and Yucca House on Melrose Plantation) are large, four by eight feet. The size brings the viewer into the painting, and the primitive style provokes a level of understanding, not intimidation. Hunter often drew women larger than men because she saw them as more important. 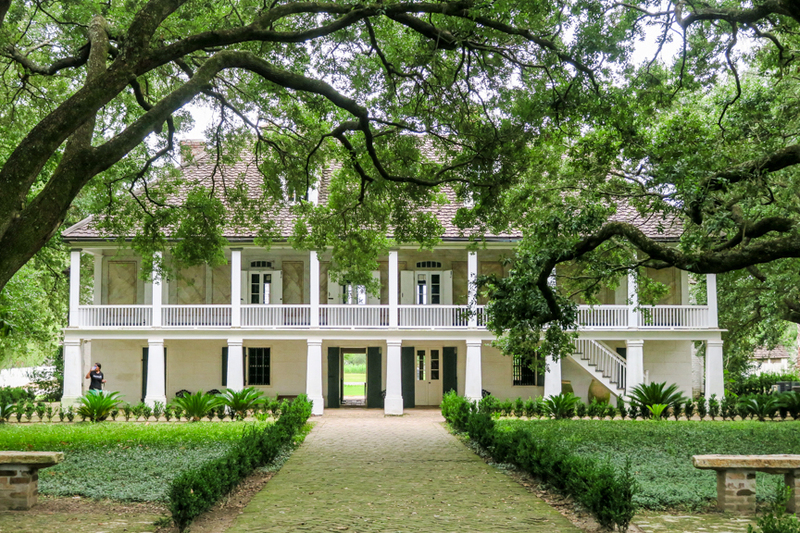 I didn’t have time to visit the National Park site in Natchitoches: the Cane River Creole Plantation, which includes Oakland and Magnolia Plantations. I did make it out to Fort St. Jean Baptiste. The full-scale wooden reconstruction sits near the site of the original fort based upon archival research. 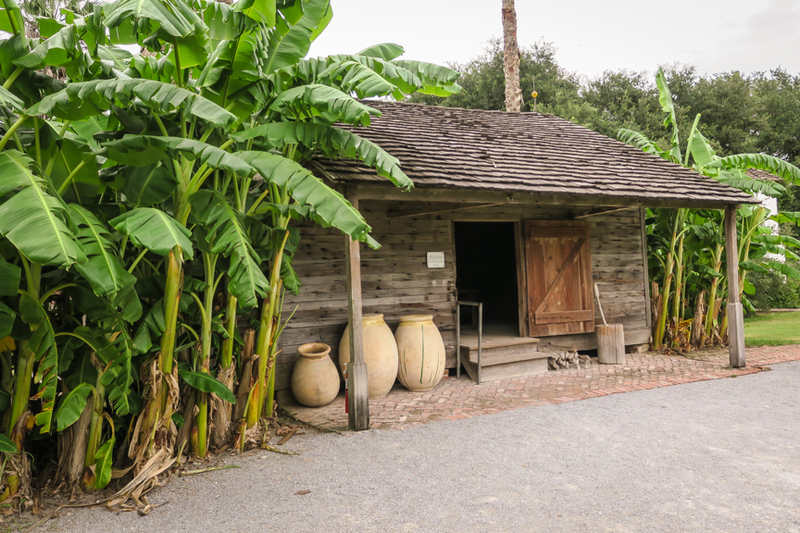 Many of the interior buildings: a trading warehouse, powder magazine, church, commandant’s house, barracks, guardhouse, and bastions reminded me of those within St. Augustine’s fort. 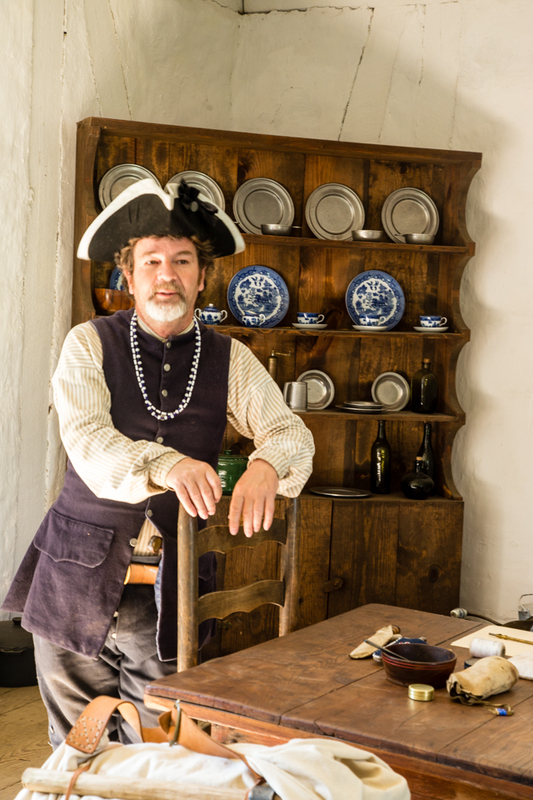 Costumed interpreters portray life during the period when French soldiers lived in Louisiana. The Cane River used to pass by the fort and downtown district, but the river changed course in the 1830’s. 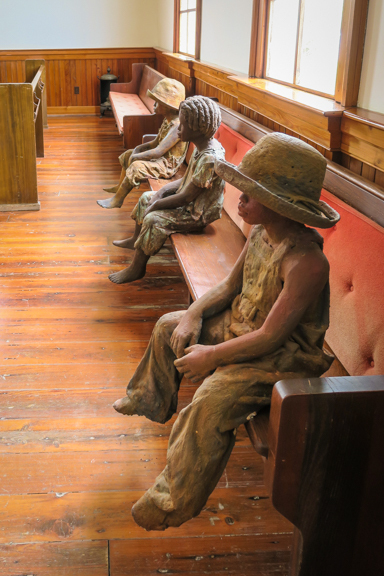 The loss of the former port, bustling with cotton and sugar shipments, also changed the economy of the area. 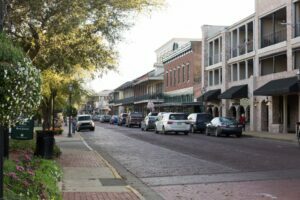 Natchitoches suffered through the Civil War and Great Depression and growth came slow during the industrial age. Tourism is now one of the primary sources of income. 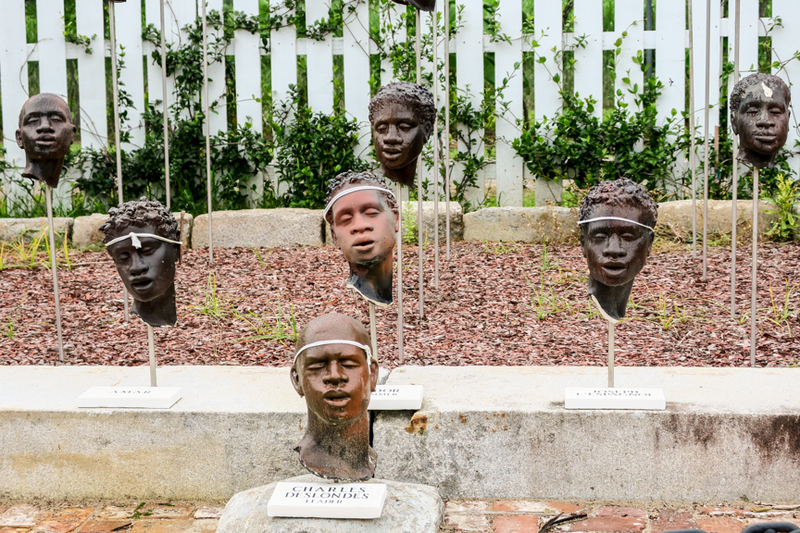 Visitors will find appealing shops, restaurants featuring Southern, Creole, and Cajun cuisine, comfortable lodging, museums and many National Historical Landmarks worthy of a tour. 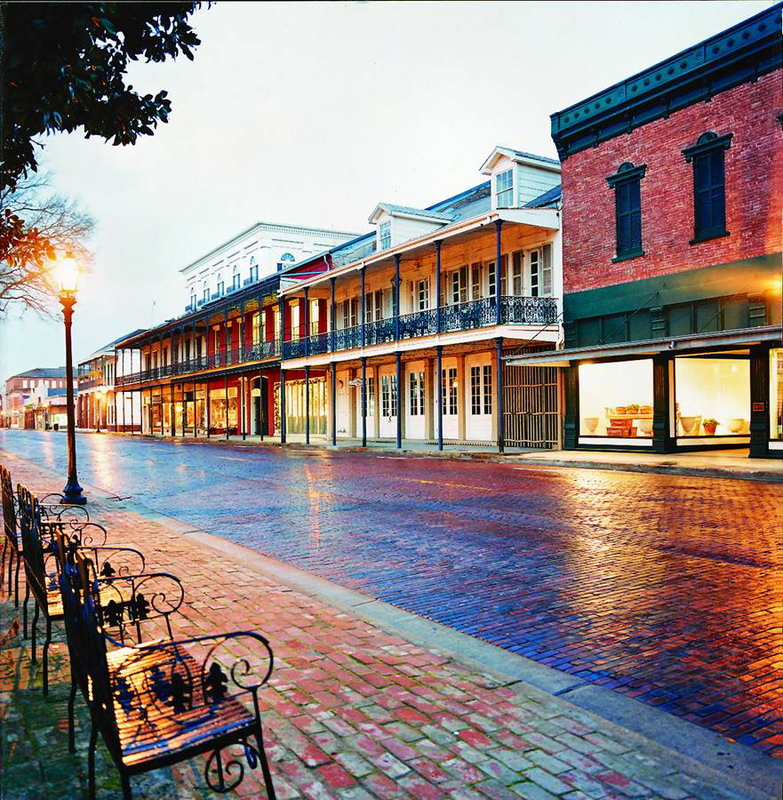 Natchitoches lies in Northwest Louisiana, 256 miles or about a 4-hour drive from New Orleans. 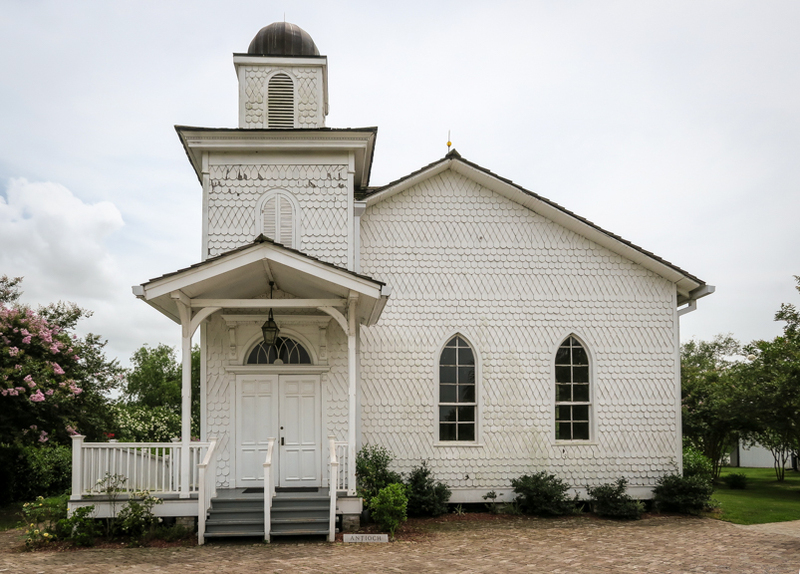 Spots of interest along the way include Baton Rouge, Plantation Alley, Atchafalaya River Basin, Lafayette, and the Kisatchie National Forest. Try the meat pies at Maglieaux’s on the Cane.